Serving innocent accident victims and their families throughout Connecticut, the attorneys at the Law Offices of Brian J. Mongelluzzo, LLC, in New Britain are here to help you secure the full amount of compensation you deserve for the injuries and losses you suffered as the result of a workplace accident or as the result of an accident caused by someone else's negligent, careless or unlawful actions. With an additional office in Waterbury, we are one of the area's leading legal practices for all types of personal injury and workers' compensation claims. Over the years, we have successfully advocated on behalf of thousands of clients across our great state, and we promise to aggressively pursue the most favorable outcome possible for your situation. Board certified as a workers' compensation specialist, our law firm's founder, attorney Brian J. Mongelluzzo, leads a team of some of the most highly ranked, talented legal minds in the profession. Available 24/7 to address your questions and concerns, we are committed to providing the highest level of advocacy and support during this difficult and uncertain time for your family, and you can always count on us to be there when you need us the most. From this dedication to those we serve, The Waterbury Observer voted us as the Best Personal Injury Lawyer in 2012 and 2013 as well as the Best Law Firm from 2012 to 2016. We have also earned numerous other awards and honors, and we are proud to be able to help so many during their times of need. 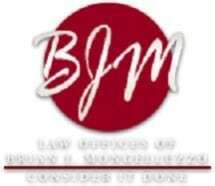 To find out more about how the Law Offices of Brian J. Mongelluzzo, LLC, can help you assert your rights, protect your entitlements and achieve the justice you seek, you can contact us by phone or through our law firm's website to schedule a free initial consultation. Working on a contingency basis, we will not require a fee unless we recover finances on your behalf.